April–October (daily except Monday): 9-17. 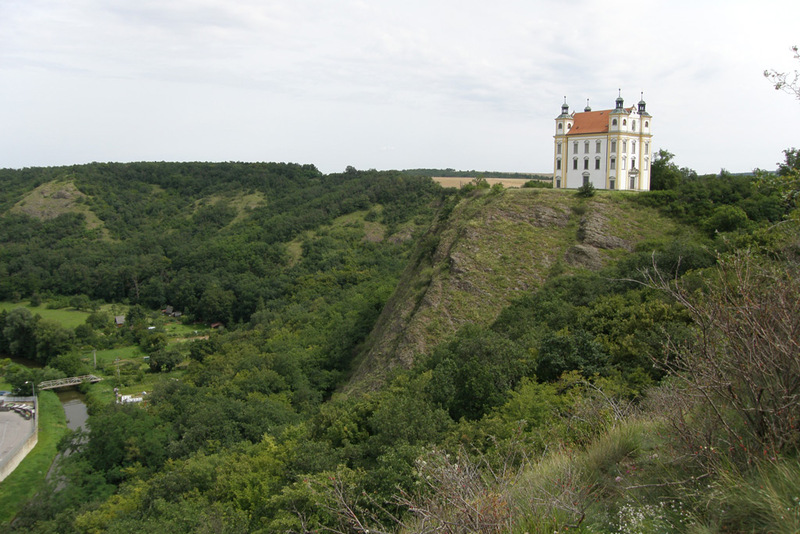 Originally the chateau had the style of a gothic castle and served a defensive purpose at the confluence of the river Bobrava and Říčanský stream. In the 16th century it was remodeled as a renaissance chateau and served as the seat for several rulers of the Rosice area. 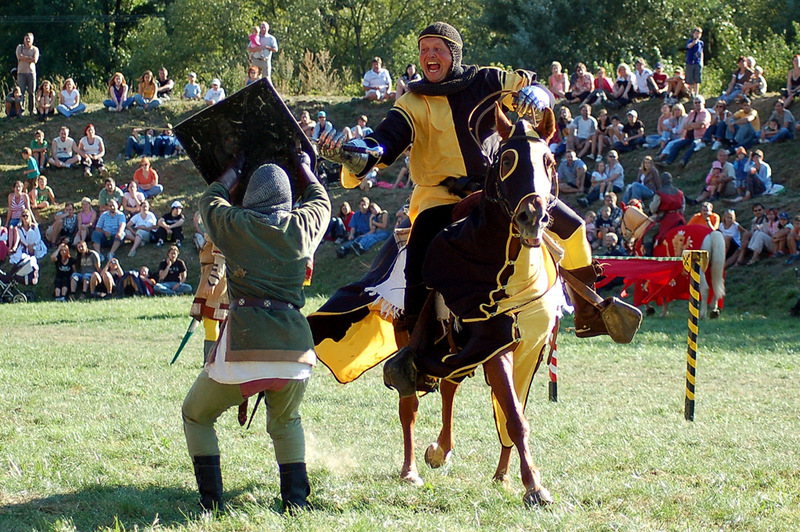 Many interesting activities and concerts take place at the chateau during the year, the most renowned of which is the Knights’ Tournament in the last weekend in August. April–October (daily except Monday): 9-12, 13-16. July – August (daily except Monday): 9-12, 13-17. In the beginning of the 20th century Alfons Mucha created a series of 20 large paintings depicting the history of Slavic races. 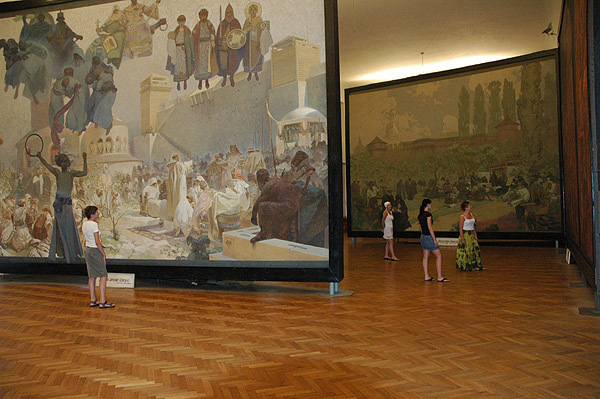 He then gave this monumental work, called the Slav Epic, to the Czech people in Prague in 1928. During the Second World War it was hidden in several places in Prague and was, unfortunately damaged. 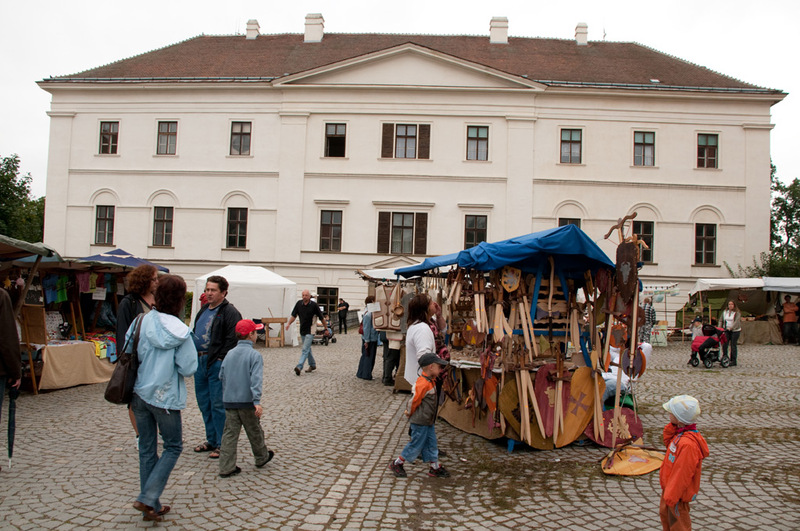 It was loaned to the chateau in Moravský Krumlov in the 1950s where it was restored and is on display there to this day.